Book My Party. Where the party never stops. 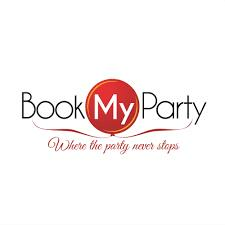 Book My Party is the best way to find & discover local Party businesses. Helping businesses reach out to customers in need of making those special moments special. We offer reliable services as a virtual party planner, providing the best party & event services in Australia! Trusted and verified. We can cater for all your celebrations. Corporate events and functions, weddings, engagements, birthday parties, christenings and even children's parties. We also offer an event planning calendar to promote your next fete, fundraiser or community event. GIFTS, FLOWERS, CAKES & BAKES, TRANSPORT, PARTY SUPPLIES, VENUES, MUSIC, EQUIPMENTS, BABY BONANZA, DRINK CATERERS, THEME NIGHTS, PHOTO & VIDEOGRAPHY, MOBILE FOOD & BAR, MERCHANDISE HIRE, ENTERTAINMENT, STRICTLY KIDS, CATERERS, GROOMING, STAFF, AND ACCOMMODATION. Visit our website at www.bookmyparty.com.au today for all your celebration requirements.